The Purobio Precision Brush n° 02 helps to structure the small areas of your face. Ultra-soft synthetic hairs, its oblique shape facilitates the application of your blush, illuminator or bronzer on the cheekbones and narrow areas of the face. With Purobio Precision Brush, the result is natural! For a naturally structured complexion! 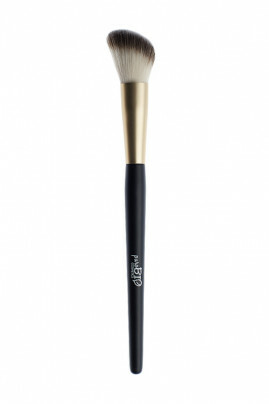 Using Purobio Precision Brush, apply blush and highlighter onto the cheekbones, bridge of the nose and forehead center. Apply shading powder and bronzer into cheek crease, along jawline and forehead sides.